Feeling overwhelmed by the subtle - and not so subtle - pushes for use of video in social media? Don't worry, we know the feeling. From experience, looking into the camera only FEELS like staring down the barrel of a gun. In reality, you are taking a shot at hitting a bullseye with your target market. 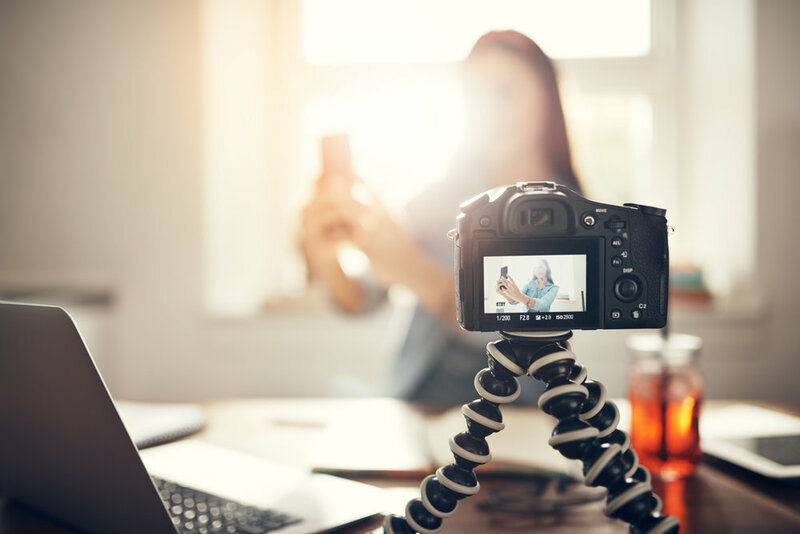 Video is an opportunity to tell a different angle of your story in a way that draws the viewer into a unique and often, a more authentic insight into your company. We regularly watch our clients' social media stats skyrocket every time a video is added to their feed and strategy. You know what else skyrockets? Their confidence. Sharing information about this topic could be like opening a fire hydrant and demanding that you drink. Rather than recreate the wheel and add the noise, I direct you to the noise that makes sense to us. Like a library of social media resources for your questions. Q. What social media platform should I use for my video? A2. This INC article offers an indepth review of every platform and why you should be using it for video. Q. What am I supposed to talk about? A1. Imagine your ideal clients are in the room with you. What would you like to talk to them about? If you can't think of anything, we would LOVE to brainstorm with you. It is one of our favourite things to do. Q. Do you have any tips for setting up and planning my videos? A2. YouTube Creator Acadamy: This is good for professional, developed pieces. Q. What the heck is IGTV, do I need it, and how do I make a channel? A1. Anna has done a great job summarising the latest longform video platform here: IG TV Say What?! A2. Do you need it? That depends. It could be extremely effective to be an early adopter of this platform but it depends on your target market, current strategy, and goals. Still unsure? Give us a call - remember, your initial 30 minute chat with Boss Lady herself is always free! Q. What is the difference between FB Live and Instagram Live? A1. Short answer? One can stick around and one disappears over time. Long answer: this Kim Garst article discusses the similarities and differences to a new level. Q. How should I edit my videos? A1. Facebook and Instagram allows you to add filters and edit within their platforms. Even Live videos can be have a customised filter like eCamm. A4. Finally, the beauty of Live videos are their candid authenticity. Be brave. You have something of value to offer and we are excited to hear it! Are you looking to learn more than what you are reading here? Give us a squawk. We would love to help you out! Home made Apple Pie, Mexican food, soft chocolate chip cookies and coffee are the way to Trista's heart. She is currently learning the fine art of toddler negotiations. She is NOT a dog lover but one affectionate GSP pup named Harry has wiggled his way into her heart and she’s not sure how that happened. Older PostBoss Lady Speaks....about video!